Amnesia: The Dark Descent, Outlast, Slender, Among the Sleep, Alien: Isolation — horror is in vogue among gamers. While it’s true that we’ve seen some great original horror titles in the past couple of years, there’s a slew of lesser-known horror titles that, while trading the subtlety and slow-burn that haunts you for days after completion in favor of a fast jump scare, are still popular enough to gain the public’s attention and inspire imitators. Most of them are made by indie developers and modders on a shoestring budget, and they usually don’t receive all that much coverage from the mainstream gaming press. So, how do they manage to gain internet infamy? And more importantly, why do more and more people aspire to make these games? The answer might surprise you: YouTube Let’s Plays. • And in return, the YouTube Let’s Players milk them for all their worth — making countless ‘scared’ play-throughs, and thus effectively turning these games into smashing hits with their followers. Case in point: Five Nights at Freddy’s, a game that has taken the internet by storm. And while normally we wouldn’t care what people enjoy playing, after seeing the amount of praise and a quasi-religious following that this game has (with some even going as far as branding it as “The Scariest Game Ever!”), the CCS Gang couldn’t help but raise their collective eyebrow and ask: “What’s so scary about this game?” Additionally, our horror game veterans are left scratching their heads as to what exactly makes Five Nights at Freddy’s worthy of the title of “scariest horror game”. With the acclaim of Five Nights at Freddy’s being “the scariest game ever” by the YouTube community, we pause to examine whether its success is warranted. On the one hand, Five Nights at Freddy’s weaves a creepy narrative with disturbing imagery. On the other hand it’s almost built to exploit a rising indie-game/YouTuber symbiosis. Because nothing earns more YouTube subscribers than a cheap “Schadenfreude money-shot” jump scare. We also develop our own “ideal horror game” list of requirements, and analyze where exactly Five Nights at Freddy’s succeeds and where it falls short. Finally, LaughingMan outlines his own ideal survival horror game, much to everyone’s discomfort. Okay! That jump scare at the end dragged on a little to much and the thing on how you should not kill everyone at the end, should not have been at the end, it was a big neon light that a jump scare is coming, you should have put that bit of dialog somewhere in the middle of the video, you know to foreshadow the end, not to worn us that it was coming. Second thing is horror in video games can work really well not just in horror games, but in games that just have a horror theme level or two, one example of this is in Vampire the Masquerade: Bloodlines, there is a haunted mansion mission were your character is took out of his/her normal routine, you are told that there is little to no danger for a vampire, but the story of what happened there is what catches you and keeps you in the moment. Another thing they use is that there is nothing that you can fight, sneak around or talk too, like in other levels, it is something that your skills can not help you with, the game creates a sens of normality for you and then takes it away. Sometimes when you make a perfect jump scare scenario with no jump is far more horrific. I could be wrong, but they might’ve dragged it out and did the jump scare at that an obvious time to prove the points they brought up for where some horror games go wrong. As for the “sense of normality” and then taking it away, that’s a tactic used not just in story writing for games, but for movies and books as well. People are adverse to change, and when placed in a less than desirable situation for a long period of time, we tend to latch onto things that remind us of everyday things and routine. While I’m not a fan of it myself, the indie game “Presentable Liberty” is a wonderful example for such a tactic; in fact, I would say it’s one of their themes. They even start the game off telling you that you’ll receive something at least once everyday, and you’re given a knock-off GameBoy to play with in-game. Using an example more people will recognize, the “character” of Wilson in “Cast Away” is an object that Tom Hanks’ attaches to because, in a dire circumstance such as being stranded alone, he needed something that reminded him of “normality” to cling to. It’s human nature, which is why it’s touched on in many mediums of entertainment. Now, to my opinion on why so many people enjoy and play Five Night at Freddy’s (FNAF). In the genre of horror, there are several tried-and-true ways to scare or shake a person, in which I’ll list a few: the unknown, as championed by H. P. Lovecraft in my opinion; the “personal demons”, where the protagonist(s) has to face an ugly or repressed aspect of themselves which might be personified through a monster or being (Silent Hill games, anyone? ); the monster flick, which a threat actively chases down the hero; and nostalgia, or better yet, corruption of childhood memories. FNAF follows that last method, and primarily targets people from the 80’s and 90’s, when animatronics became popular in Chuck E Cheese’s and other knock-offs of the chain. Many people who grew up during those decades would’ve visited one of those restaurants before, and the idea that something would actively try to kill them from their childhood is deeply disturbing. The doll Chucky from “Child’s Play” terrified many for such a reason, and that method of horror is why so many people now cite a fear of clowns; someone took something innocent and for children, and twisted it around. While I might not enjoy FNAF or find it scary, it makes sense as to why others might. I agree with a lot of the points you guys brought up here (especially on what makes good horror), but there are a few things about FNAF I disagree with. Firstly, in my opinion, what makes jumpscares so cheap is that they’re not a focus and are just there to be like “THIS IS A HORROR GAME REMEMBER WE SPOOKED YOU”, but FNAF doesn’t just execute these scares randomly. You watch the animatronics get closer, stand near your room, disappear and you’re constantly dreading pulling down the camera and seeing him there. The paranoia of this is interwoven with the game and it makes it at least feel less cheap as the later Dead Space games. Whilst I don’t think that the execution of the jumpscares was very good (pulling the camera down and getting them in your face saying ‘boo!’ is too cheap in my opinion). Maybe if they added the robots coming out from the door if you don’t close them, then grabbing you and cutting to game over would have made for better execution. Other than that, you guys were totally on point as far as I’m concerned. 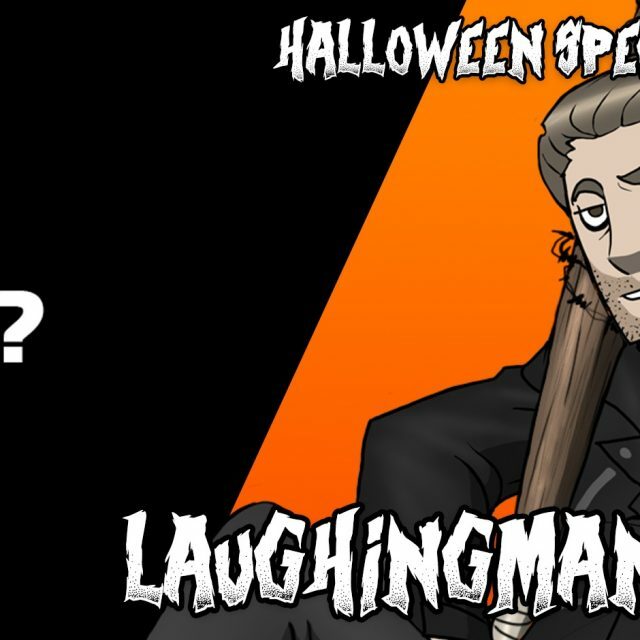 And I hope one day someone will make the game LaughingMan described.